According to the International Renewable Energy Agency (IRENA), Ghana will lead the renewable energy transition in West Africa, together with Nigeria and Cote d'Ivoire. 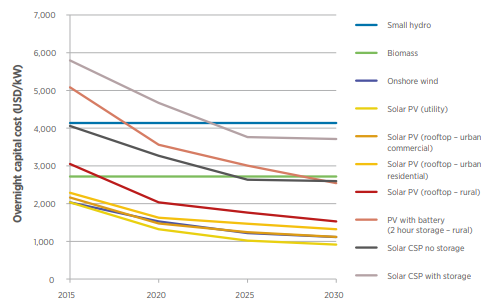 The electricity growth prognosis includes a time periode of over 10 years and shows a fourfold in 2030 since 2015. See figure 1 for all country shares. 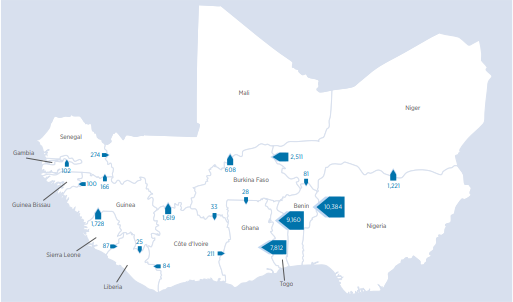 IRENA published the 110 pages report as an update to an earlier report on the West African Power Pool (2013). They work with potential scenarios for the future and want to contribute to the international dialogue with their results. The biggest electricity demand is expected to come from industrial as well as commercial use, and less from rural and urban use. Although the distribution among the user categories differs per country. The findings in the report show the potential renewable resources have in Ghana and other West African countries. For example the existing hydropower projects, which show the second largest share for Ghana. Hydropower derives its electricity from falling or running water and can also be seen as a renewable energy. Altogether, the capacity of hydropower is 1580 MW out of a total of 4899 MW for the 15 West African countries. As for other renewable energies, solar has the largest potential in Ghana, 20295 MW out of a total of 28232 MW from 6 different renewable sources. 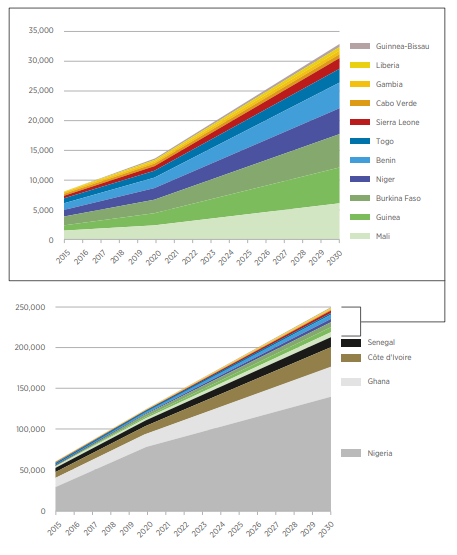 Right now a big share of the energy in West Africa comes from fuel sources. IRENA summarizes the estimated fuel prices for the upcoming years, which is shown in figure 2. Altogether they conclude that in particular the diesel, gas, heavy fuel oil, light cycle oil and coal prices will rise. In some of the cases the investment prices will even dubbel in 2030 compared to 2015. On the other hand, the trend of the investment costs for renewable energy keeps declining. The expected costs for solar energy combined with a battery or other storage facility also decline in the prognosis. See figure 3 for a more detailed description over the upcoming years per source. Another positive aspect of the IRENA report is the existing cross-border trade. Ghana has an existing infrastructure where they exchange their energy with Cote d'Ivoire and Togo. These projected trades will mostly be inflows for Ghana, which also shows the high potential for the renewable energy market in Ghana. 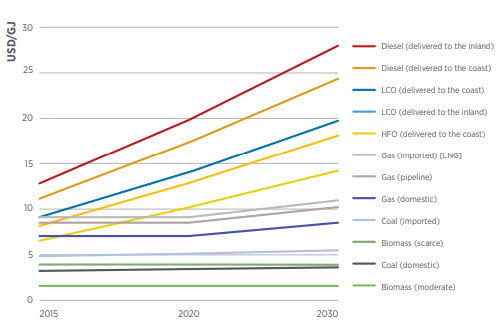 For the potential trades in 2030, see figure 4. The results of the analysis insist on the importance of coal in the total energy use. Coal is already the biggest contributor to the energy supply in the West African countries. This is due to the increasing demand that creates a supply-demand gap. Nevertheless, it shows the potential solar could have, together with wind and biomass. In the future scenarios the wind and solar market have a share of around 10% in the total market, compared to zero in 2013. This is extra surprising since there is a decline in fuel costs in 2030 compared to the former report. 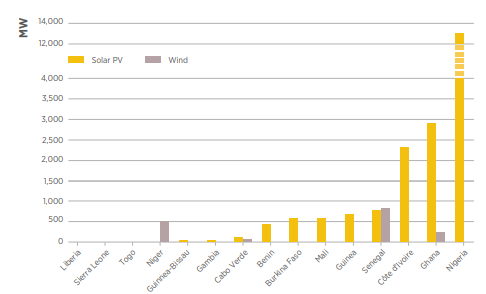 For an overview of the solar and wind capacity per country, see figure 5. IRENA is an intergovernmental organisation that aims to assist countries in their transition to a sustainable, renewable and fossil free energy future. They promote the adaption and focus mostly on African countries, since the potential fir domestic use of renewable energy could enhance modern energy access. The full report can be found here. The full citation of the report: IRENA (2018), IRENA Planning and prospects for renewable power: West Africa, International Renewable Energy Agency, Abu Dhabi.